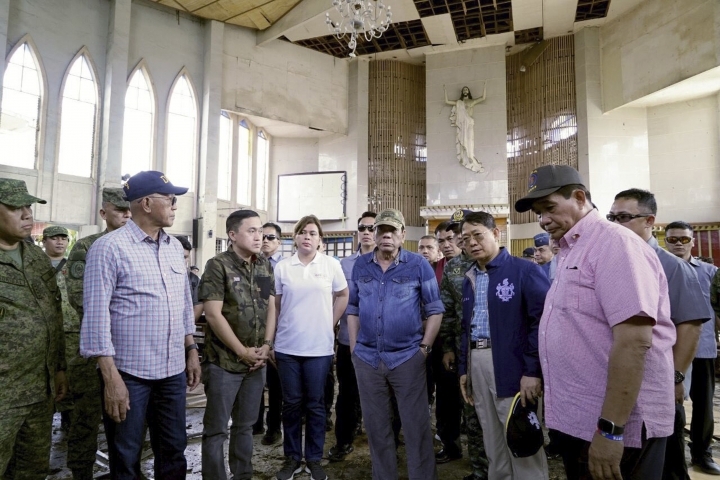 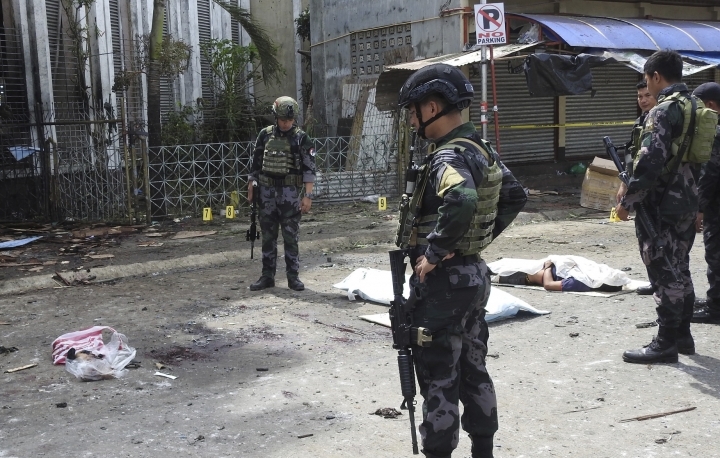 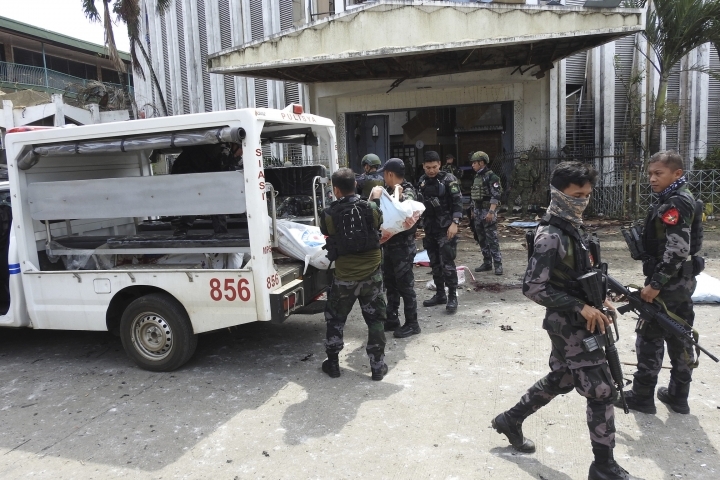 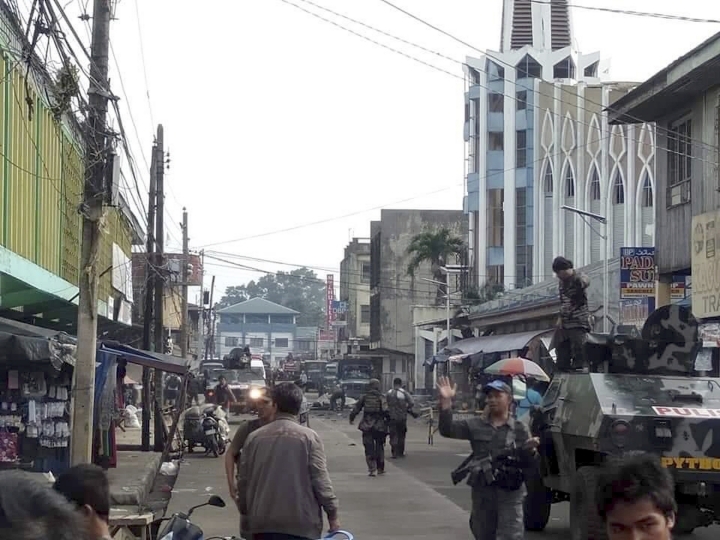 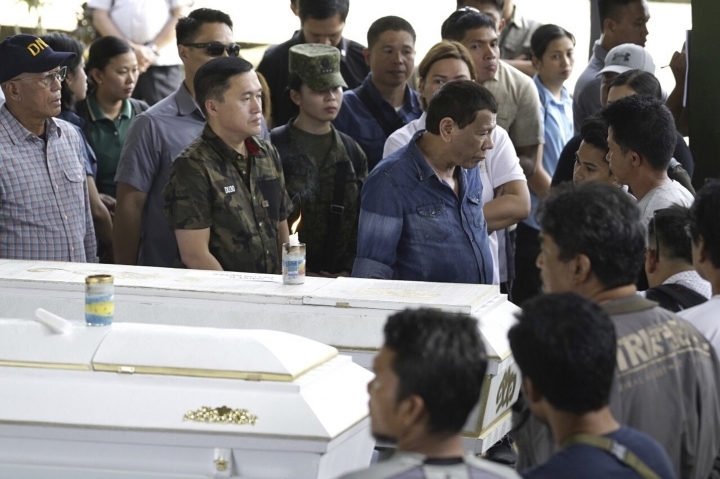 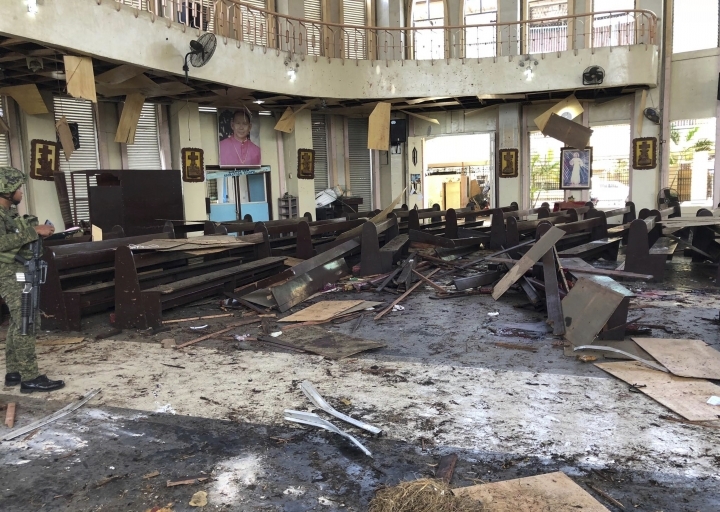 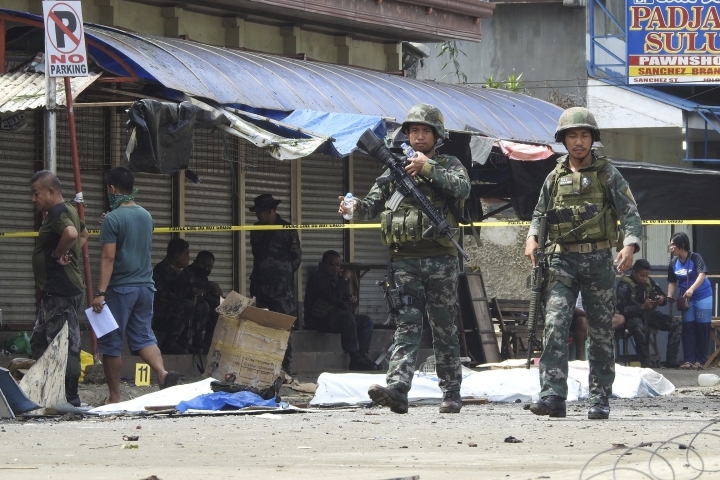 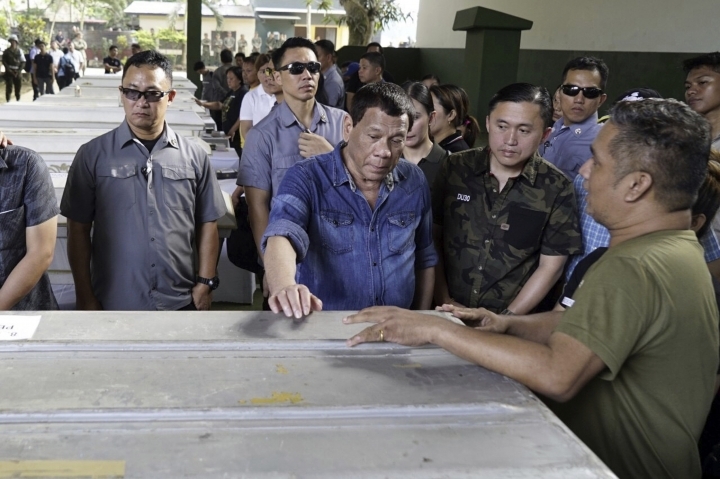 MANILA, Philippines — President Rodrigo Duterte and his top security officials on Monday visited a Catholic cathedral in the southern Philippines where suspected Islamic militants set off bombs that killed 20 people and wounded more than 100. 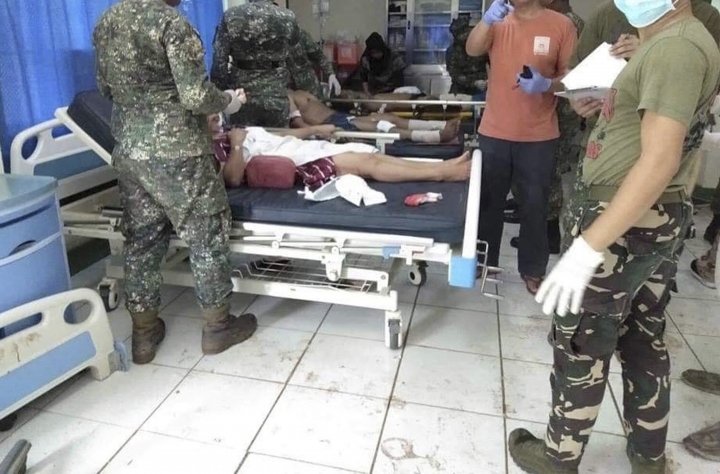 Defense Secretary Delfin Lorenzana, who was with the president, blamed the attack on Abu Sayyaf commander Hatib Sawadjaan, who he said has pledged allegiance to the Islamic State group. 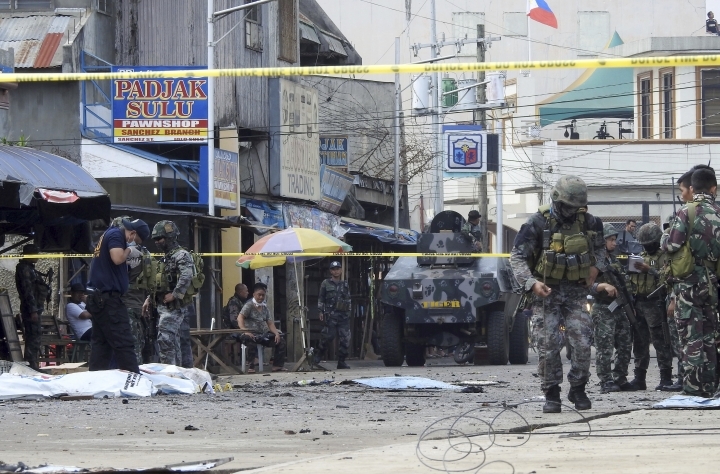 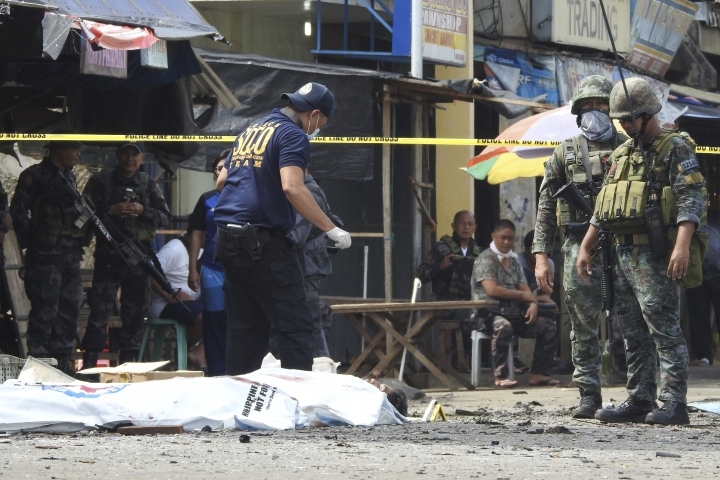 "This is an act of terrorism," Lorenzana said. 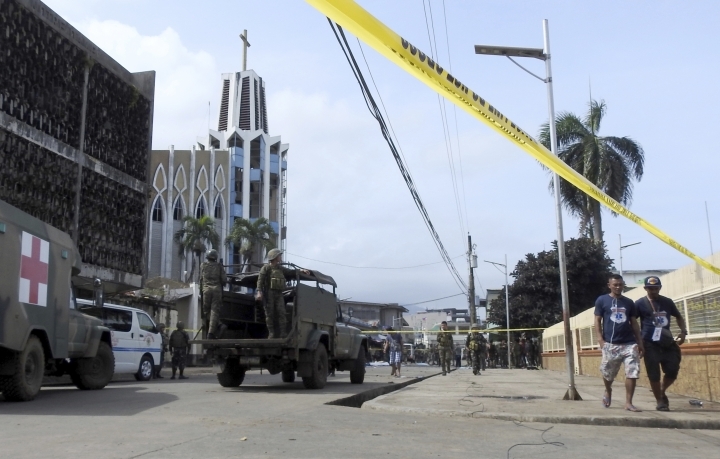 "This is not a religious war." 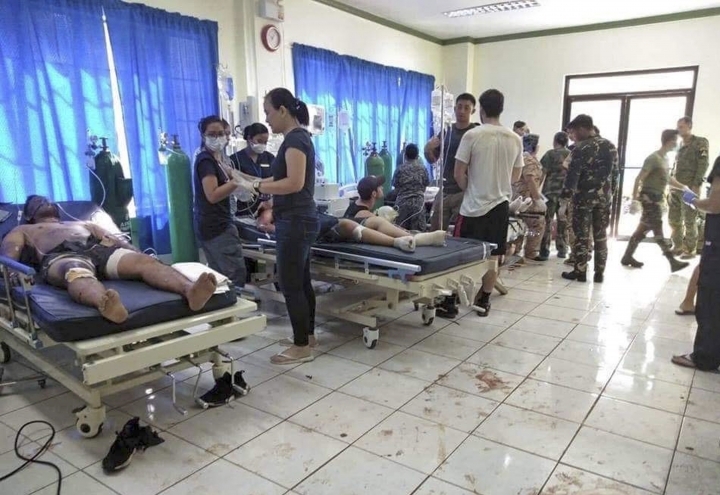 The United Nations and others denounced the attack. 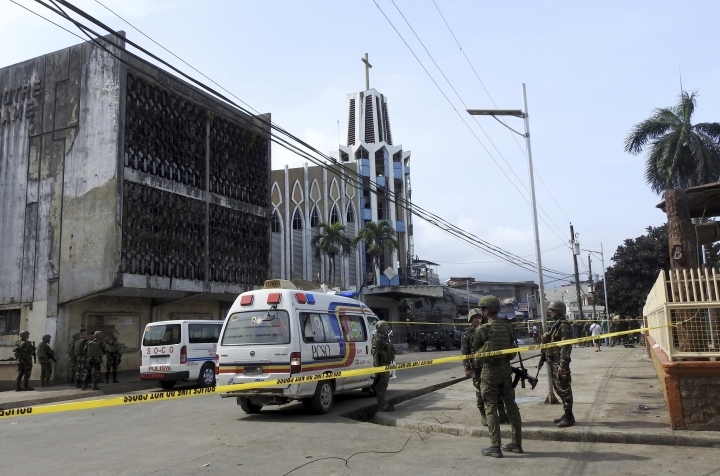 The U.N. Security Council late Monday condemned "the heinous and cowardly" attack and "underlined the need to hold perpetrators, organizers, financiers and sponsors" of the attacks accountable.